If you have been in business for even a short while, the chances are that you have collected a number of email addresses from people who are interested in your product or service. This is gold! These are people who are interested in what you offer. In other words, they’re a ‘warm lead’. So you need to nurture them by offering nuggets of your expertise in regular email newsletters. This will help you hang on to them for the long term and eventually turn them into ‘ambassadors’ for your brand who will share your message with their networks. Email will allow you to engage your network in a two way conversation. You can inform them when new products are available or drive traffic to your website when a new blog has been posted. And, unlike social media platforms such as Google or Facebook, your email list offers stability. Social media networks may change their algorithms and negatively impact the reach of your communications. Suddenly you may not be able to reach as much of your audience as you used to. You own your email contacts. Social media platforms used to reach potential customers own the audience and can take it away from you at any time. So, protect yourself from the volatility of search algorithms on social platforms and ensure that a higher number of engaged audience members view your content on a consistent basis. Take every opportunity possible to ask people that interact with your business to provide an email address and keep growing your email list. July 13, 2018, OAKVILLE - In its first test in court Vanessa’s Law: The Protecting Canadians from Unsafe Drugs Act passed with flying colours on July 9th. Yet it was not a big pharma company in federal court arguing against the transparency provisions in a law all parties supported without dissent in both houses of parliament, but our own federal government. Dr. Peter Doshi, an Assistant Professor at Maryland University applied under Vanessa’s Law to obtain unpublished clinical trial data held by Health Canada in order to investigate the safety and efficacy of certain drugs including Tamiflu and Relenza, drugs sold to treat or help prevent the flu. Health Canada, operating under their discretionary powers outlined in a Guidance Document, refused to accede to his request unless he signed a “confidentiality agreement that would prevent him from disseminating or publishing the information disclosed,” which he refused to do, and sought judicial review in federal court. The court also decided that Health Canada fettered its own discretion, and failed to assess “the effects of its decision on Mr. Doshi’s freedom of expression” in sec 2(b) of The Canadian Charter of Rights and Freedoms. “This is wonderful for Canadian patients, but a major embarrassment for the Liberal government and the people who are supposed to enforce the law – Health Canada officials,” says Terence Young Chair of Drug Safety Canada, father of Vanessa, who as MP conceived the law and carried it through parliament. Today, my congratulations go out to Stephen Crawford. 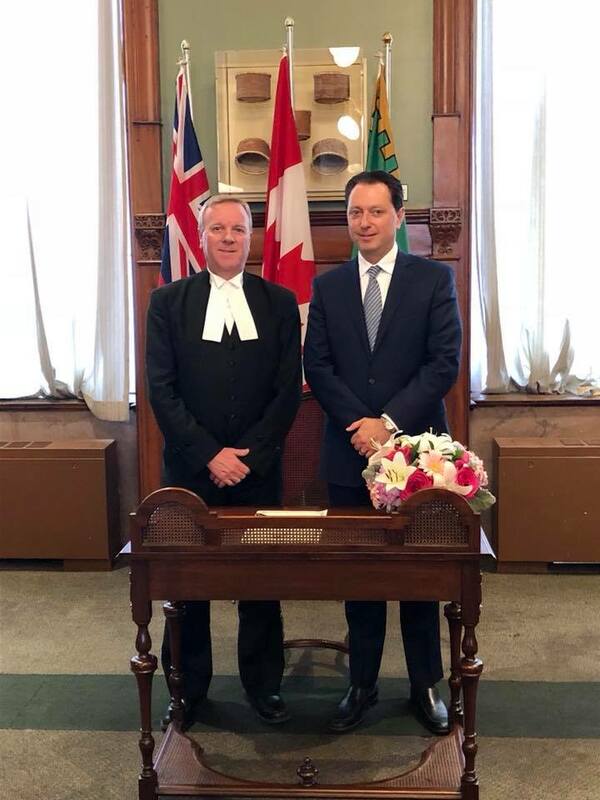 Stephen has just been sworn in as Oakville’s new MPP. 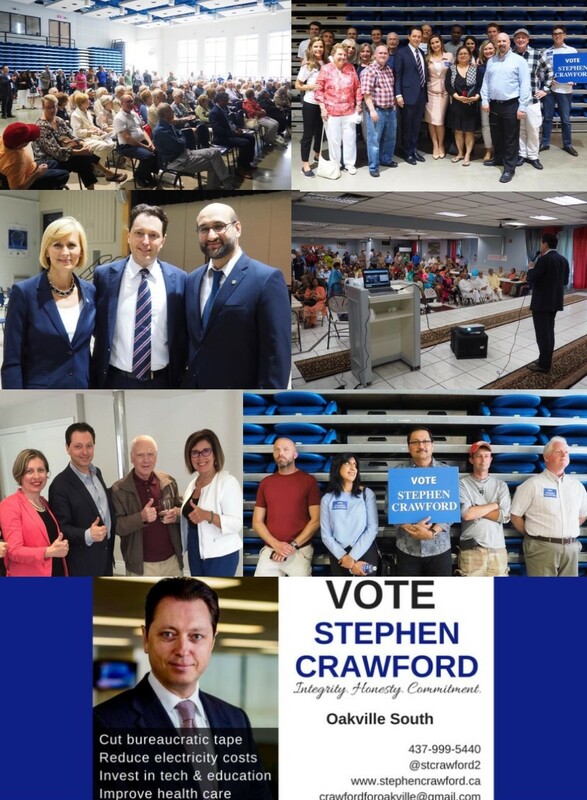 Having worked with Stephen, as his campaign manager, for more than a year from his nomination campaign to the general election I know that he is going to do an amazing job representing the people of Oakville and Ontario at Queen’s Park. Over the past year, I have been impressed with Stephen’s work ethic and willingness to listen to people’s concerns. Equally impressive is his ability to listen to advice and build consensus. This allowed us to break new ground during our year long election campaign and try things that have never been done in Oakville before, such as the development of one of the most comprehensive campaign communications strategies I’ve had the privilege of working with. Communicating Stephen’s message to the community incorporated the perfect mix of face-to-face interaction, coordination of video, social media and traditional media, as well as digital advertising. If you’re seeking election and would like a consultation, feel free to get in touch for more detail. It was a great media week for ON Q Communications client Julie Bednarski, founder of The Healthy Crunch Company. Two segments on The Morning Show on Global Television. This was a wonderful way for Julie to reach a national audience with her expertise as a registered dietitian and also showcase her Healthy Crunch products. Check out the segments here and here. A great artice in OakvilleNews.org on the nomination of Stephen Crawford as the Ontario PC candidate for Oakville. I am pleased to be presenting a lunch and learn with the Oakville Chamber of Commerce. On August 25, I’ll be talking about how businesses can build their brands through the right mix of marketing and public relations. Many people thing that marketing and public relations are mutually exclusive. In fact, brands do better when they find the right mix. With the right mix of marketing and PR, brands can build both visibility and credibility, which leads to sales and profit. To learn more, join us on August 25. REGISTER HERE TO ATTEND! June was an exciting and eventful month. I had a lot of fun working with a great team to get Stephen Crawford nominated as the Oakville Ontario PC candidate for the 2018 election. Here are a few pics from the journey. Looking forward to growing the team and turning Oakville blue again in 2018. It was good that the Easter long weekend provided a chance to relax and recharge. The week coming out of the long weekend was a busy one. Lots of media relations activities for the On Q Communications client, The Healthy Crunch Company, that I"m working with. We started out the week with showing Rogers Daytime york Region viewers how to make the perfect kale chip at home. Then there was a healthy snacking segment on Rogers Talk Local in Mississauga. And the week ended with interviews about healthy snacking on AM800 Windsor and Newstalk 1290 in London.